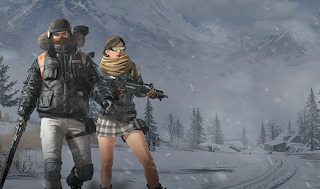 Player Unknown Battleground (PUBG) Mobile has finally launched the date for released of Vikendi (snow map) . The PUBG players are eagerly waiting for this map. Although the Tencent game launched the update version few days earlier but after installing players didn't get the snow map. But now its time to celebrate for PUBG lovers. Due to some problems or rumors about PUBG ban in India,lots of PUBG players moved away from this game and now they are coming back to the game after knowing that the Snow map will be available on December 20. Tencent game has finally released the version of 0.10.0 for all Android and iOS devices. The latest version will come with some additional features as well as some bugs fixes . The new update is roughly size of 1.2 GB. According to a tweet by PUBG mobile, the Vikendi (snow map), which is 6km×6km map. Also the game's homescreen gets a Christmas makeover for the fastive season. The new background shows a peaceful snowy land with and SUV wearing Christmas light. Vikendi, a 6km×6km snow map, is coming in the new update. It will be available on December 20 at 5:30 PM. • Added a new snow theme to the main menu. • Added Arabic language support. • Added Cross server matchmaking. • Added firearms Finish upgrade system. • Added season spending rewards. So thats all about this new update Vikendi map on PUBG . Hope you enjoyed it. To get more updates like this you can follow us on Facebook, Twitter or Google+. Thank you!